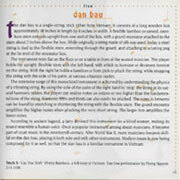 plus an 88-page expanded booklet. 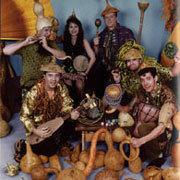 There are 60 color photographs in the booklet including many not published in Making Gourd Musical Instruments such as the Dan Bau, Kse Diev, and Ocean Drum. 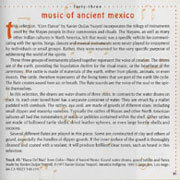 It also has a more detailed track description. 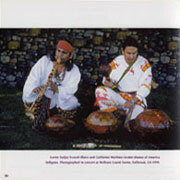 The audio CD has 73 minutes of melodic and rhythmic music illustrating 30 of the remarkable examples described in Making Gourd Musical Instruments. You'll be even more inspired to make your own instruments after hearing these 45 exceptional tracks. Your satisfaction is absolutely guaranteed. You must agree that this booklet and CD are for you, or send them back for a full refund! 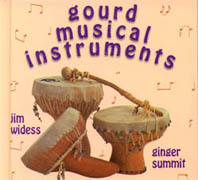 Making Gourd Musical Instruments is only $27.95. 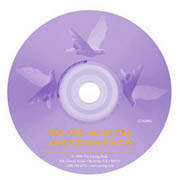 The Gourd Musical Instruments booklet and CD are only $19.95. 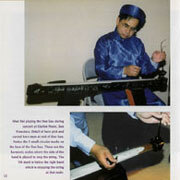 Together, you'll own the most innovative musical instrument-making instruction set ever published. 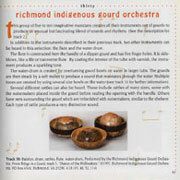 Order your copies of Making Gourd Musical Instruments and Gourd Musical Instruments today and start making tunable and playable instruments, that you'll be proud to perform on, this week!